John Pailthorpe was born in about 1878 and lived in Stalybridge where he became a bobbin carrier at a cotton mill. He had served in the South Africa War (1899-1902) before joining the Cheshire Regiment at the outbreak of war in 1914. He was posted as part of a draft of reinforcements to the 1st Battalion Cheshire Regiment and spent some time attached to the HQ of 10th Corps. He might have been wounded because he was later posted through an infantry base depot in France to the 10th Battalion Cheshire Regiment. 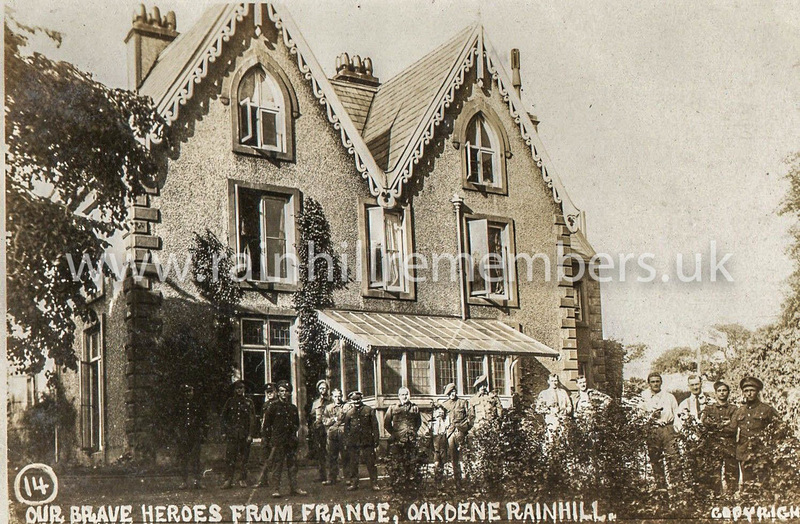 John died of pneumonia at Oakdene Auxiliary Hospital, Rainhill, on 8th July 1918. He was the husband of Mary Jane Pailthorpe of 6 Back Desmesne Street, Stalybridge. His death was reported in the Manchester Evening News on Wednesday 10th July 1918 (via British Newspaper Archive).